A truly great character for an actor is often a double edged sword. A great role can shoot you to stardom and let you continue to do what you love. On the other side, many actors end up pigeonholed to that specific character. It’s hard to break free, and impossible to do anything without being associated with that character. The only way out is to continue to work, and with luck, the talent will be enough to get the public past the association, even for a moment. Of course, the bigger the character, the bigger the challenge. 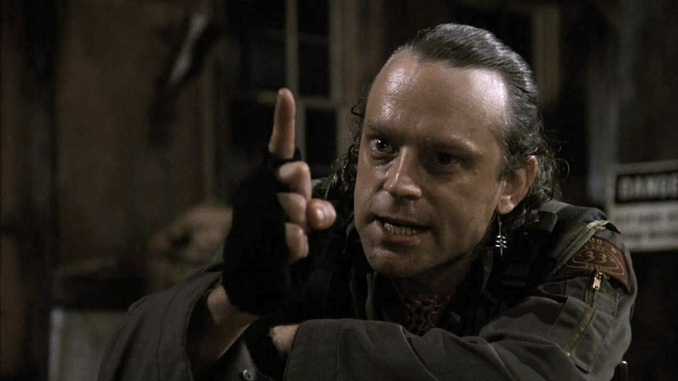 One of the greatest examples is Brad Dourif. He will always be identified with the Chucky. Much like Bela Lugosi is forever Dracula, and Robert Englund will always be Freddy, Brad will be remembered forever as Chucky, the murderous little doll. Brad has an advantage; he’s spent most of his time only supplying the voice for the character, so he can take other roles and most audiences won’t see him as Chucky. Of course there is that unmistakable voice. He’s been able to do what other horror icons have not, move through genres with ease. 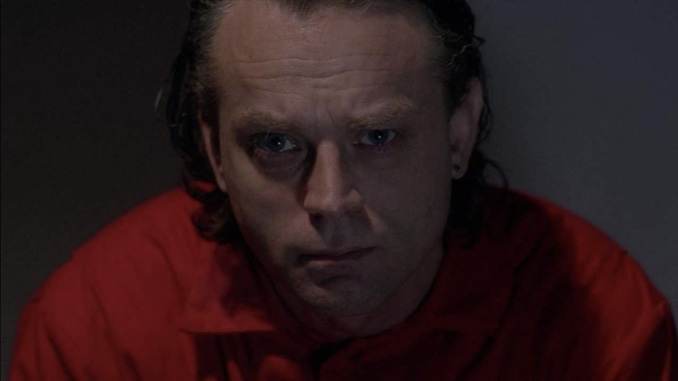 To lump Brad Dourif into only horror, as so many people do, is to take away some of his greatest accomplishments. Brad started his acting career on the stage in school productions, and eventually left college to pursue acting in New York. He worked on the stage until he got his big break when he was cast in One Flew Over the Cuckoo’s Nest. The role earned him a Golden Globe award and an Academy Award nomination. After becoming an instant star, he went back to New York to teach acting. He then moved to Hollywood in 1988, the same year that he would make horror movie history. Although he would appear with many different incredible talents and legends of the business, it’s his role in Child’s Play that has made him an icon. Unlike other actors who have become namesakes in the horror genre, Brad can go easily between roles and never miss a beat. For instance, the same year that Child’s Play was released, we also saw Dourif in Mississippi Burning, the Academy Award nominated drama about a civil rights investigation in the south during the 1960s. While he’s been in films like Rob Zombie’s Halloween series, he also had a role in The Lord of the Rings trilogy. If there’s one thing that can be said about every part he’s taken on, it’s that they all have a sense of humanity. It doesn’t matter if it’s a serial killer, a possessed doll or a doctor in Deadwood, each character has depth. 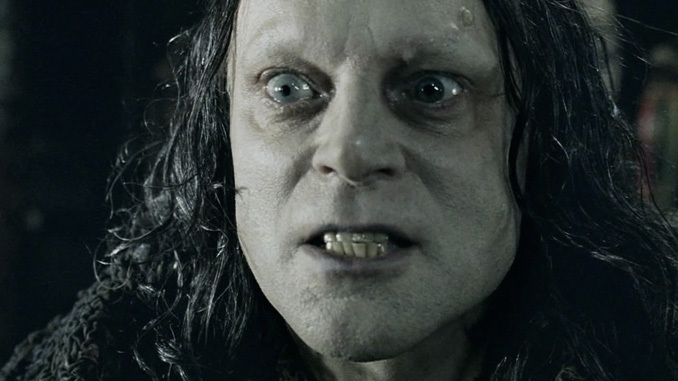 This is the frustration that I have with Brad Dourif; he is one of the most talented actors in the business. He steals every scene despite performing alongside some of the greatest actors in the business (Jack Nicholson, Gene Hackman, Gary Oldman, George C. Scott, the list goes on). He becomes the character and you learn to love him. But, for whatever reason, he’s never broken to the next level. He is not a household name, at least not one outside of the horror genre. Despite having prestigious awards and appearances in award winning movies, he’s a step below “oh, that guy!”, and he deserves more because he earns it with every role. Even the smallest role in the biggest flop of a movie you can say, “yeah it sucked, but Dourif was fantastic.” So why isn’t he a household name? I think the simplest answer is that while he’s always done stellar work, he was never seen by studio execs as an actor who could draw in big dollars. Most people don’t go to a movie to see him specifically. As an example, look to him being turned away from the role of The Joker in Tim Burton’s Batman. Burton wanted Dourif, but the studio wanted Jack Nicholson. Sure, Nicholson had a memorable turn, but we’re left wondering how maniacal The Joker could have been. All this isn’t to say that he hasn’t had an impressive career working with the likes of Werner Herzog, Peter Jackson, Dario Argento, and John Huston. Those are opportunities of a lifetime; but the biggest life changing opportunity would be, Chucky. This is another part of the answer. Child’s Play came along and Dourif was forever linked to horror. 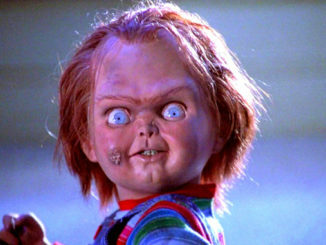 I have a personal attachment to Chucky in that he scared the absolute hell out of me as a child. I saw glimpses of him on TV and while he wasn’t doing anything bad, hearing that voice would send me running from the room. When I actually saw the movie, that feeling did not go away. 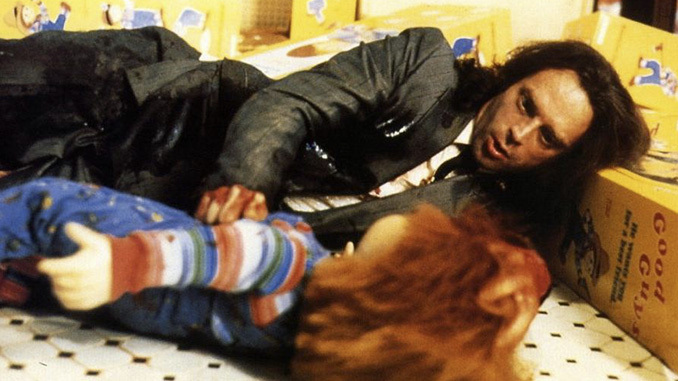 Chucky, especially in the original Child’s Play, is one of Dourif’s greatest roles. Even as the quality of the movies have ebbed and flowed, Brad brings everything he’s got to the role, and you can tell he’s having a hell of time with it, which in turn makes the movies themselves a blast to watch. Something as silly as a serial killer doll has become a pop culture icon because of Brad, and that is impressive all unto itself. I just know there is more to his ability (we’ve seen it) that filmmakers may overlook because Chucky is such a blinding spotlight on an impressive career. As I’ve said, not a lot of actors can step out from behind that spotlight, and, as well as Brad Dourif has done, he hasn’t completely taken his foot out of the genre, thank God. He clearly has a love of the genre, but he’s more than a killer doll. After watching his scenes in The Exorcist III, I was awestruck and a little uneasy. I was pulled deeper into the movie. One of my favorite examples of Dourif’s acting abilities is in Rob Zombie’s Halloween II. 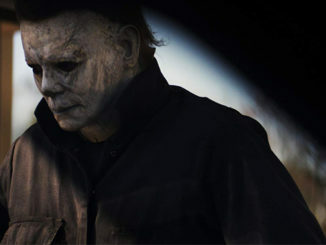 Minor spoilers for Rob Zombie’s Halloween and Halloween II below. In Halloween II, Dourif reprises his role of Sheriff Brackett from Zombie’s first Halloween film. The remake doesn’t see much of an expansion of the role from the original film (of course Brad knocks it out of the park), but the remake’s sequel sees that role expanded, due to the fact that his daughter, Annie, survives Michael’s knife and the now orphaned Laurie, is living with them. The movie itself is lackluster, in fact it’s irritating, but there is one scene that I will point to that makes the movie worth watching. Michael returns to find Laurie, and, long story short, ends up butchering Annie. The scene when Sheriff Brackett arrives at the crime scene, finding out his daughter has been killed and seeing the body is intense. Dourif brings so much emotion to the scene that I was surprised by how much it affected me. 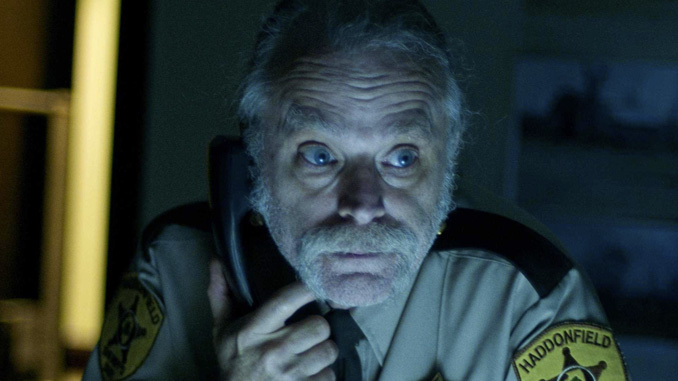 I was not expecting to see real emotion in a horror movie like Rob Zombie’s Halloween II, but, then again, Brad Dourif is in it. He is a horror icon, one of the greatest working actors, and someone who loves what he does. I am always rooting for Brad Dourif, and I can’t wait to see what movie he pulls me into next. 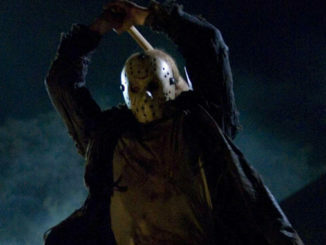 Quiz: How Well Do You Know These Slasher Movie Taglines?